Pattern 6115. There is no damage. 4 sets are available, as well as other pieces of the pattern. I need your zip code to calculate the postage. 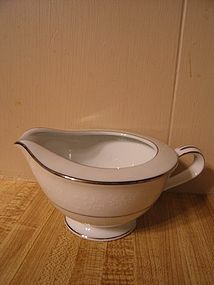 Creamer marked 6115. There is no damage. 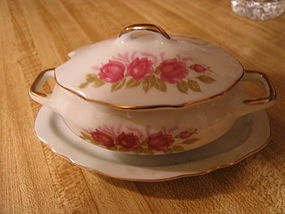 Sugar dish, cup and saucer sets, dinner plates, bread plates and vegetable bowl are available. I need your zip code to calculate the postage. 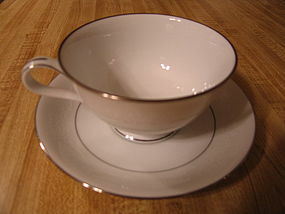 Cup and saucer set with no damage. Several sets, as well as sugar, creamer, saucers and coffee pot are available. I need your zip code to calculate the postage. 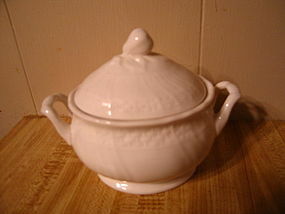 Sugar bowl and lid. There is no damage. Cups, saucers, plates and coffee pot are available. I am adding the matching creamer free of charge, as there is some crazing to the surface. I do not understand the reason for the crazing, because none of the other pieces show any sign. I've wondered if this is a manufacturing issue. 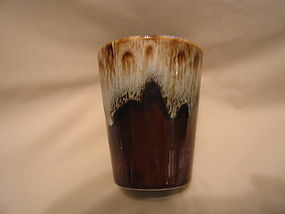 The crazing is covered by the glaze and the area is totally smooth to the touch. I need your zip code to calculate the postage. 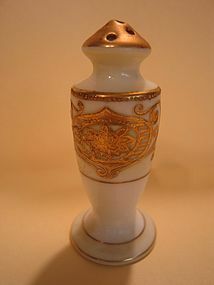 Sugar dish and lid. There is no damage. Other pieces of this pattern are available. I need your zip code to calculate the postage. 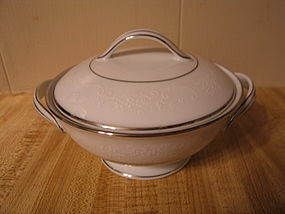 Sugar bowl and lid, with attached underplate. Little if any sign of use. I need your zip code to calculate the postage. 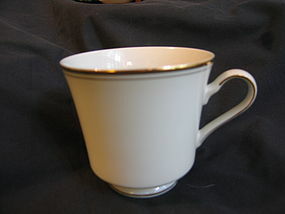 Demitasse (2" height) cup. Little if any signs of use. 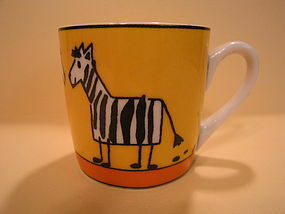 Zebra pattern is available. I need your zip code to calculate the postage. Demitasse (2 inches in height) cup. Little if any sign of use. 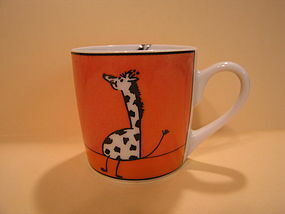 Giraffe is available. I need your zip code to calculate the postage. Pattern 175 2 3/4 inch individual pepper shaker. Very little wear to the finish. The stopper is missing. Salt shakers in this size are available. I need your zip code to calculate the postage. 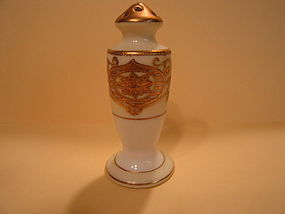 Noritake pattern 175 individual salt shaker measuring 2 2/4 inches in height. Little if any wear to the finish and no stopper. 3 of the salt (ONLY 2 SALTS LEFT) and 1 pepper(PEPPER SOLD) are available. I need your zip code to calculate the postage. 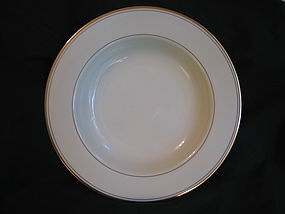 Saucer marked as Bone China English Castle. It is 5 5/8 inches in width. The flowers and leaves are gray and brownish orange. The leaves are looking more orange than actual shade. The rim is scalloped with gold trim. Minor wear to the gold trim. I need your zip code to calculate the postage. Manufactured in Japan. Fruit or sauce bowl measuring 5 1/8 inches in width. Very little sign of use. 2 bowls available and priced individually. I need your zip code to calculate the postage. It holds 5 ounces and measures 3 1/2 inches in height. There are no chips, cracks, breaks or rough rim. 2 are available and priced individually. I need your zip code to calculate the postage. 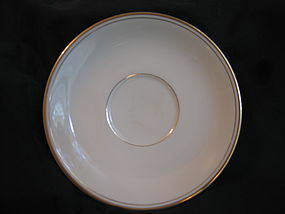 This round platter or chop plate measures 12 1/8 inches. There is no damage. Many pieces of this pattern are available for purchase. I need your zip code to calculate the postage. 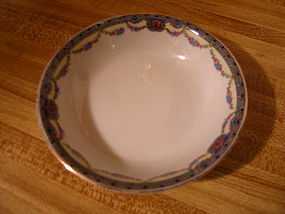 Rimmed soup bowl measuring 8 1/2 inches. There is no damage. 4 are available, as well as, several other pieces. I need your zip code to calculate the postage. Salad plate measuring 7 1/2 inches. Little if any sign of use. 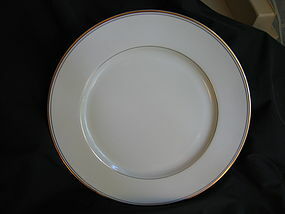 3 are available, as well as dinner plates, bowls, platter, sugar, creamer, cups and saucers. I need your zip code to calculate the postage. Saucer has no damage. 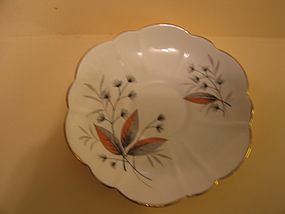 4 saucers, cups, plates, bowls, creamer, sugar and platter are available. Cup and saucer sets are $16.00 each. I need your zip code to calculate the postage. There is no damage. 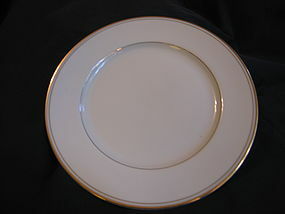 4 saucers are available, as well as, cups, plates, sugar, creamer, platter (chop plate) and bowls are available. 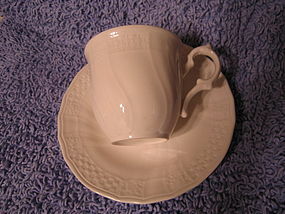 Cup and saucer sets can be purchased @ $16.00. I need your zip code to calculate the postage.